eSky is an online travel agency operating in 34 markets. They help clients to easily book their flights, hotels, trips, cars, travel insurance, etc. eSky cooperates with over 860 airlines and 1.3 million hotels worldwide. The rapid growth of the company required the appropriate platform to smoothly handle an increased number of customers and an expanding portfolio of services. eSky found the project too vast and complicated to develop, so they decided to look for a software house experienced in PHP. The Software House created an entirely new system in a stable PHP framework: Symfony. The online platform is future-proof: it expands with the growth of the company and adjusts to increased customer traffic on the website. 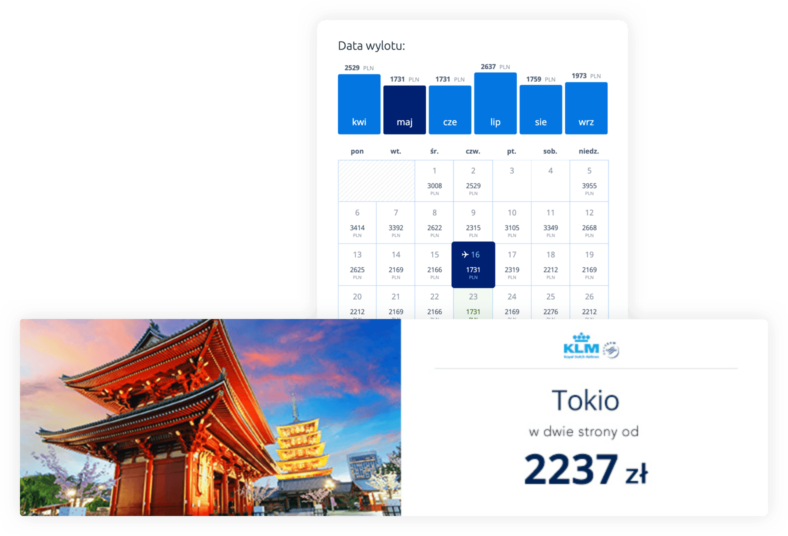 The platform includes both stand-alone services (flights, accommodation, car rental, travel insurance) and mixed offers (flight+hotel, entire trips). The new platform facilitates workflows for eSky employees too - the business panel enables integration with a large number of external systems. To support the online platform, The Software House crafted iOS and Android mobile applications too. It includes all necessary functions for end users who would rather browse for flights and hotels from their smartphones. The new eSky platform and mobile application is a great success. The user base is constantly growing, exceeding over 5 million clients who are satisfied with a better travelling experience.. eSky is reaching more and more markets worldwide improving the cooperation with airlines (distinctions from Emirates and Qatar Airlines) and receiving numerous global awards - Internet Effectiveness Awards 2018 (Czech Republic), Page of the year 2018, APG Awards (Bulgaria), 2018 +Digital Enterprise Award (Brasil) among others.